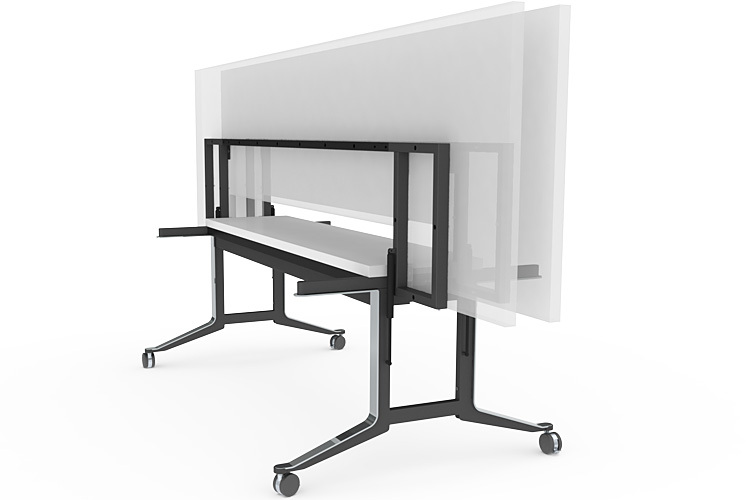 When we designed the Corsair range for WJ White, one of the challenges was to create a table that would seat 12 people in comfort yet be easily movable for reconfigurable conference rooms. Our solution was the distinctive Gullwing table, with a unique, gas-strut-assisted folding mechanism. The locking lever even pulls the table leaves tightly together so that there are no gaps, as you would expect of furniture at this level in the market. Preparing for a board meeting is now light work.